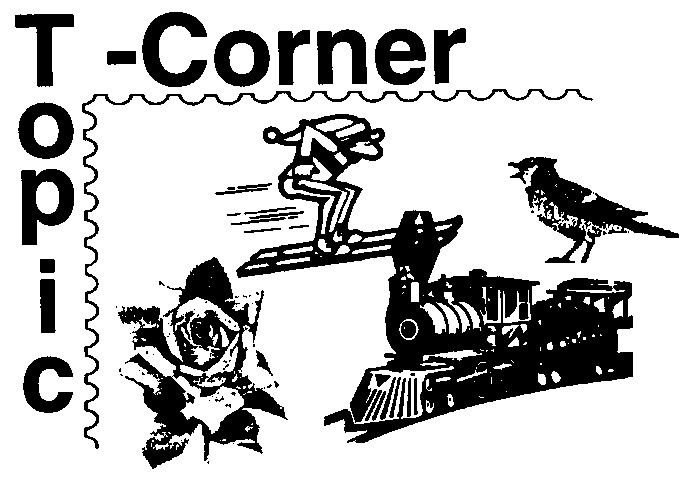 This page includes The Topic-Corner columns from the 1994 issues of Across the Fence Post. Just as woodsmen are all but lost without a compass to guide their paths so are topical stamp collectors lost without a checklist of their topic. The checklist is an invaluable tool to guide topicalists in their hunt for a complete topical stamp collection. Most of the study groups of the American Topical Association com-pile checklists of their group's topic. The ATA publishes some of these, and sonic groups publish their own. Many of these checklists are rather extensive and are generally called handbooks. When I decided to collect literary authors on stamps, the only guide I could find was Handbook 67: Theatre Philatelic, by Harrold Schifflcr, published by the ATA in 1969. When I joined the Journalists, Authors, and Poets On Stamps (JAPOS) study group, its president, Andrew Kwiatkowski (now deceased), was busily compiling his own checklist of writers. This 353-page handbook was published by JAPOS in 1983. Normally, these handbooks are updated in ATA's Topical Time or in the study group's own newsletter/ journal. For example, I have photocopies of five supplements to Theatre Philatelic, which appeared over the years in Topical Time. Mr. Kwiatkowski continued to update the JAPOS Handbook in the pages of the JAPOS Bulletin. Finally, there are topical collectors who put together their own checklists. Some of these may be published in articles on the same subject; for ex-ample "Tuberculosis on Postage Stamps." Others may remain unpublished. An example of one of these might be Robert Mather's Donkeys on Stamps - if he has not yet submitted his assinine [between topicalist colleagues] checklist for publication. Bob Voss is a pastor at Lake Edge Lutheran Church, Madison, WI. He's been involved in stamp collecting since his youth. His other topical collections include Martin Luther, Dag Hammerskjold, and Dome of the Rock. At the judges critique for DANEPEX '91, I was queried by one of the judges, ' "Why would you exhibit that topic?" I bit my tongue at the time, but I would like to now go public on why I collect and exhibit the topic of AIDS. First, I collect HIV-related stamps for personal reasons. I lost a brother-in-law from the ravages of I-IIV infection in 1988. Professionally, I provide pastoral counseling to persons and families affected by HIV. 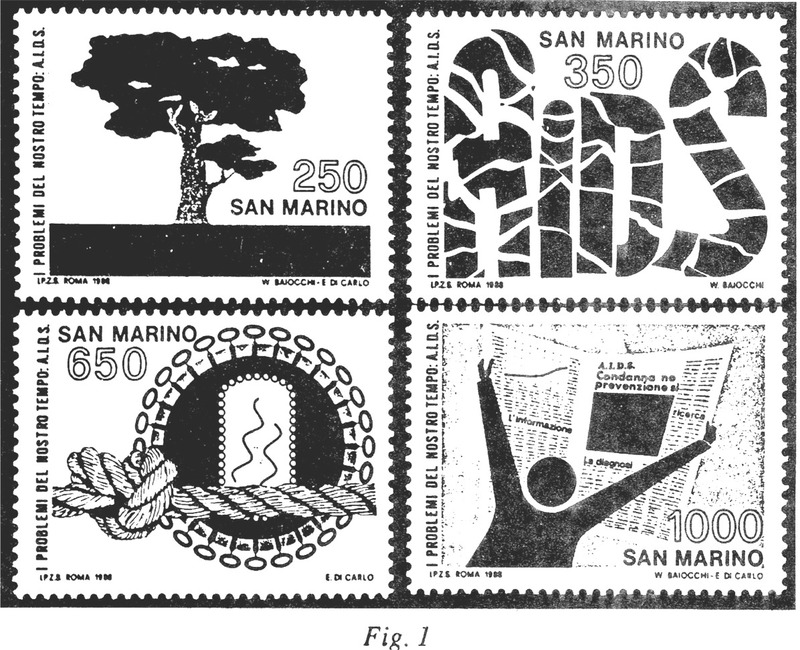 When I read in Linn's Stamp News that San Marino issued a set of four stamps to publicize the 1988 International AIDS Conference (Figure 1), it seemed only natural to combine my personal interests with my life-long love affair with stamps. Second, I exhibit AIDS on stamps for the educational value. By sharing the facts about AIDS through stamps, covers, meters, and cancellations, it is my hope that more people will be HIV educated. In fact, many countries issue AIDS stamps for the specific purpose of education. Brunei accurately portrays the routes of HIV transmission (Figure 2). 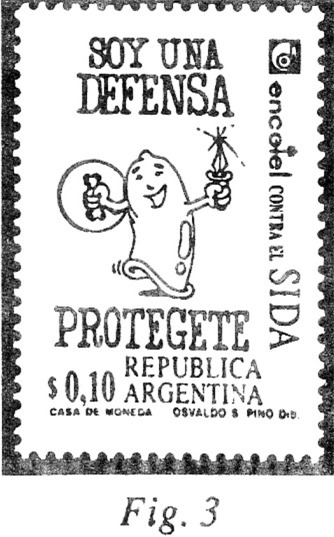 Argentina promotes prevention through the use of condoms (Figure 3). Third, collecting a modern topic tantalizes the philatelist's need for challenge and discovery. It has been exciting to sort through mixture and cover boxes for special cancellations (Figure 4). 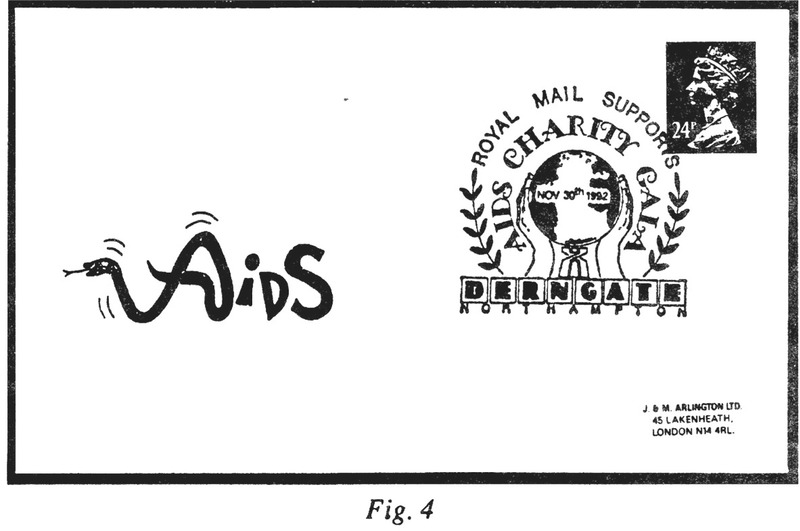 I still cannot locate seven of the 41 worldwide issues of AIDS stamps. The search is exciting and fun. Fourth, I exhibit AIDS stamps because it promotes fellowship among collectors and dealers. An APS judge has personally reviewed my exhibit with suggestions and encouragement. Collectors have generously sent copies of their exhibits and extra AIDS-related material. A dealer who received my want list of nine AIDS issues could only provide two. The company sent them to me free, apologizing for not being able to provide all the stamps. Philatelists are wonderful people to be associated with! 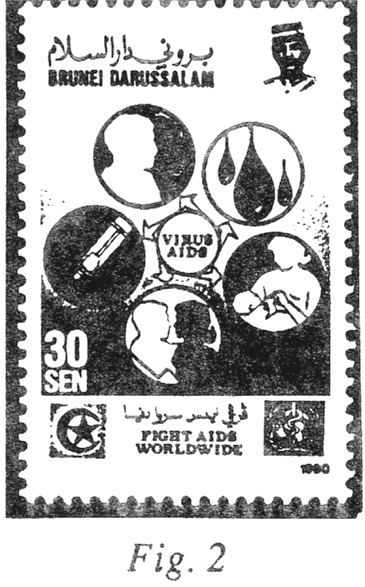 Finally, I exhibit AIDS on stamps for the same reason I have collected stamps for 38 years - for the fun of it! Mike Bedard and ATFP Editor Clete Delvaux (on temporary leave) became acquainted through their common interest in topical collecting, and Mike has agreed to share some of his favorite topics with all of us. We welcome Mike as a contributor to this column and look forward to more articles from him. Hello Friends! I am 55 years old, married to Jacqueline, and we live just outside the very small village of Plaisance, Quebec. We probably have the same generally too long winters, which makes me more long-winded as the winter moves on. We have two daughters, lovely, of course. Neither is living at home now as one is married and the other works and lives in Ottawa, Ontario. I also work in Ottawa as an adjuster for the State Farm Insurance Company. Our small farm is located in the center of a wildlife preserve on the shores of the Ottawa River. It is a stopover for migratory birds and thousands of geese. There are also many wild animals, and this is just fine by me. This brings me now to one of my other "loves," beavers. Yes, BEAVERS. You know, those overgrown rodents that move around in the water, eat trees and build dams to flood the land and create problems for the neighbors. - Well, it's not quite that bad or that simple. I find them delightful, highly intelligent, and remarkably adept at building things, and without tools at that. Yes, we have some beavers around here. There must be some in Wisconsin, too. I have to admit, however, that it was not stamps that led me to the beavers; it was my fascination with these engineers that pushed my curiosity through the stamp world. What I found can't be covered in a short article, but I will gladly share some of my experiences and research material with you in future articles. For the moment, let me say that beavers don't show up too often on United States stamps, but there are a few. Figure 1 shows U.S. Scott #2316, issued on June 13, 1987. 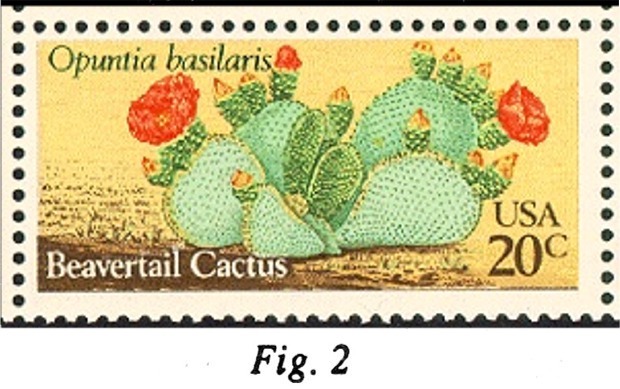 And, if one really wants to stretch things, there's a beaver tail (sorry, "beavertail" cactus) on Scott #1944, issued December 11, 1981 (Figure 2). 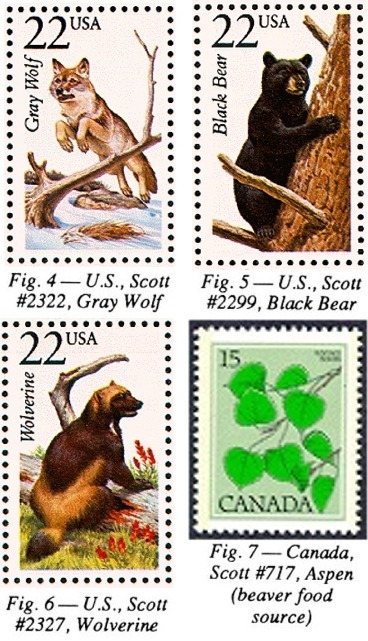 It's not hard to find more beaver stamps, but one has to search through Canada issues to find them. Our first stamp was a beaver-type, but then, Canada was built on the back of a beaver, was it not? 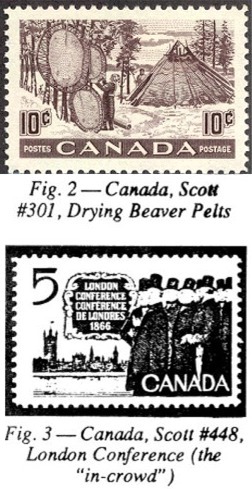 Figure 3 shows Canada Scott #1, depicted on Scott #909. 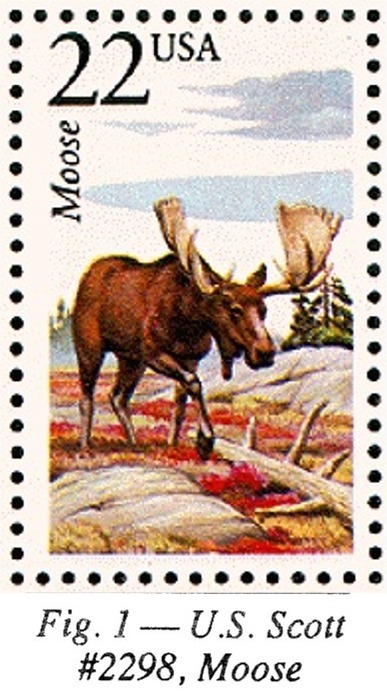 This same stamp was the first animal depicted on a stamp. Here! Here! I'm glad the beaver is number one. This animal is the most under-rated, poorly understood and sorely unappreciated creator of ecosystems that support numerous forms of lives - but that is another story. Is there other United States beaver topical material? 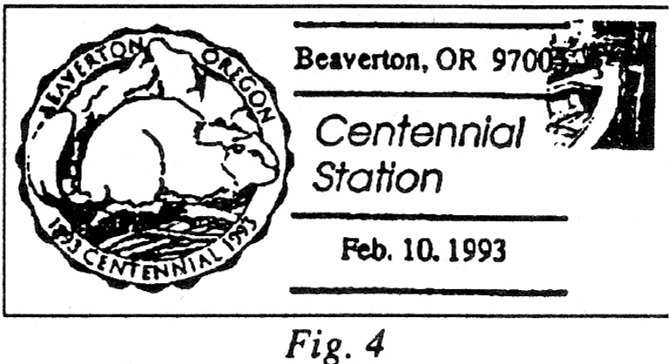 There sure is - try the Beaverton, OR, cancel of February 10,1993 (Figure 4). 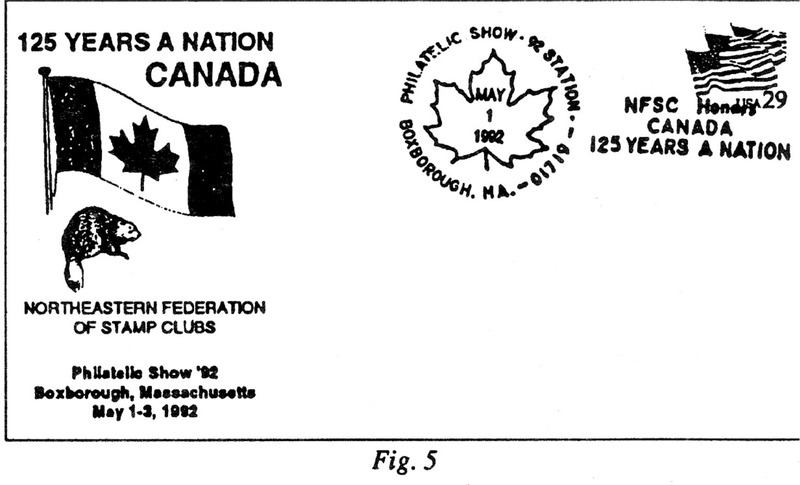 A tip of my hat also goes to the Northeastern Federation of Stamp Clubs for their salute to Canada's 125 years as a nation on there cover of May 1, 1992. It shows a beaver and a Canadian flag (Figure 5). I would like to hear from you if you know of more United States material depicting beavers. You can write to me at: P.O. Box 8149, Postal Station T, Ottawa, Ontario, K1G 3H6 CANADA. Many thanks to Clete Delvaux for giving me this opportunity to make new friends. Nice hobby this stamp collecting thing - is it not? Last October in Mekeel's, David Kent started his "Topical Highlights" column by stating, "Books on stamps seems a natural subject." But after opening with a reference to the 1993 U.S. Postal Service set of Youth Classics and a few stamps that honor the history of the book, Kent seems to run out of examples. In fact, about midway through the article, he states, "Books themselves, however, are not seen on stamps all that often. What we are more likely to see are the people who write them." The rest of the article then switches to recent stamp issues that feature portraits of writers. But, as I browse through my Journalists, Authors, and Poets on Stamps (7nPOS) material, I feel Kent has not even scratched the surface. Even if we limit the topic to scenes from great books on stamps, I find too many to list. Shown here are a few of my favorites (and many of these, I submit, are among the best designs you'll see). Scenes from Dante Alighieri's masterpiece, "The Divine Comedy," are featured on Monaco, San Marino, and Vatican sets. 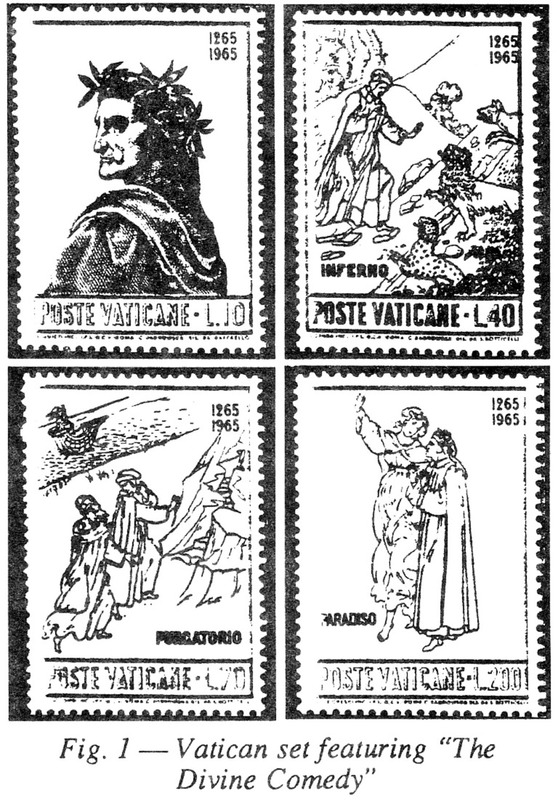 In each of these four-value sets, the low value is a portrait of Dante. But the other three are among the most beautiful in design and color in my collections (Figure 1). A number of countries chose to commemorate the centenary of Dickens' death in 1970 with postage stamps bearing scenes from his books rather than his portrait. Great Britain, for example, issued 1970 stamps showing scenes from "The Pickwick Papers," "David Copper-field," and "Oliver Twist." The British Virgin Islands honored "A Tale of Two Cities," "Oliver Twist," and "Great Expectations." Dominica issued a four-value set featuring scenes from "A Christmas Carol." 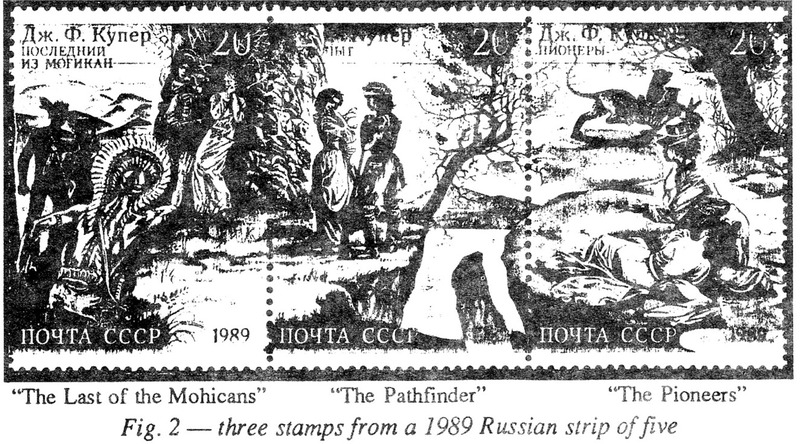 A 1969 British Virgin Islands set shows scenes from Stevenson's "Treasure Island," and a 1989 Russian strip of five depicts scenes from James Fenimore Cooper's "The Deerslayer," "The Last of the Mohicans," "The Pathfinder," "The Pioneers," and "The Prairie" (Figure 2). There are many more. And these stamps are limited to scenes from great books. If we were to include stamps that show both a portrait of the writer and a scene from his or her book or if we were to include Disney stamps that include scenes from books, the number of these stamps would be much larger. Beyond scenes from books on stamps, I've recently become aware of another aspect of books that appears on stamps: title pages of great books on stamps. I've begun to search for and collect these. in honor of various anniversaries of famous writers. All six values feature portraits of the writers, but the last two, #918 and #919, honoring Miguel Cervantes and Walt Whitman, respectively, were "issued in sheets alternating with labels without franking value." The labels show the title pages for "Don Quixote" and "Leaves of Grass" (Figure 3). 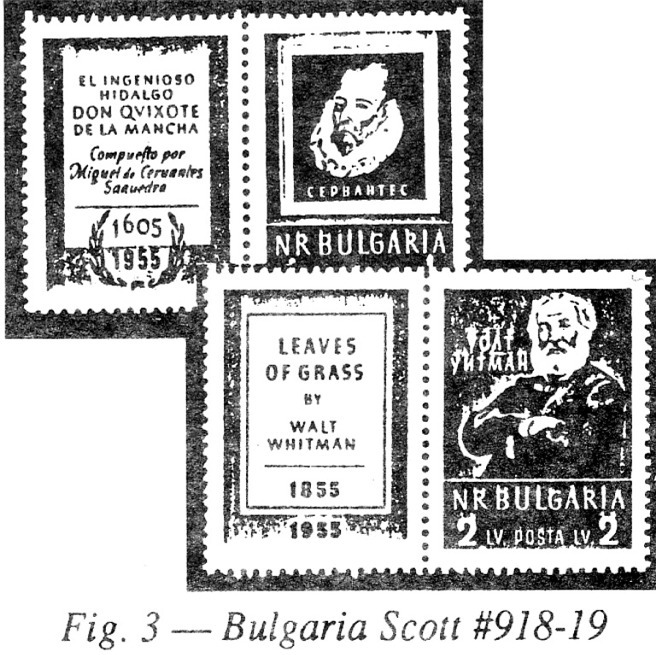 The latter shows the date of publication, 1855, and the year of the stamp's issue, 1955, thus celebrating the 100th anniversary of the publication of the first edition of ,Whiteman's "Leaves of Grass." The title page of "Don Quixote" shows the date of publication, 1605, and the year of the stamp's issue, 1955, marking the 350th anniversary of the publication of this famous book. Our Canadian friend, Mike Bedard, re-turns with a more in-depth three-part series of the beaver. 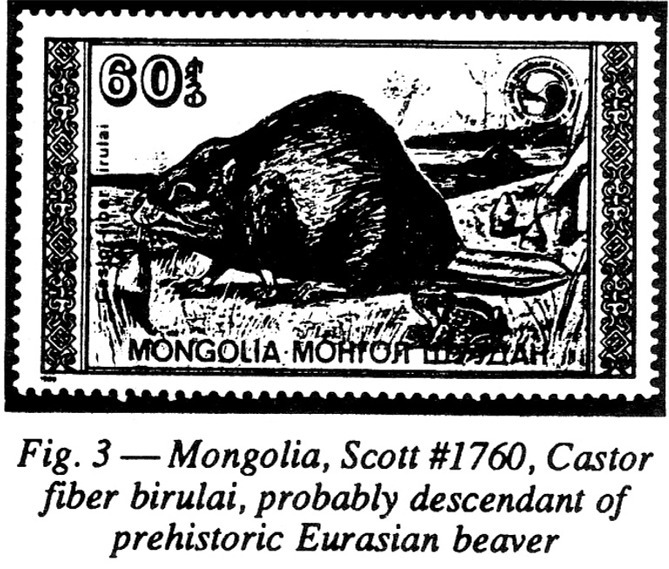 His "Introduction to Beavers in Philately" appeared in the March 1994 issue of ATFP. 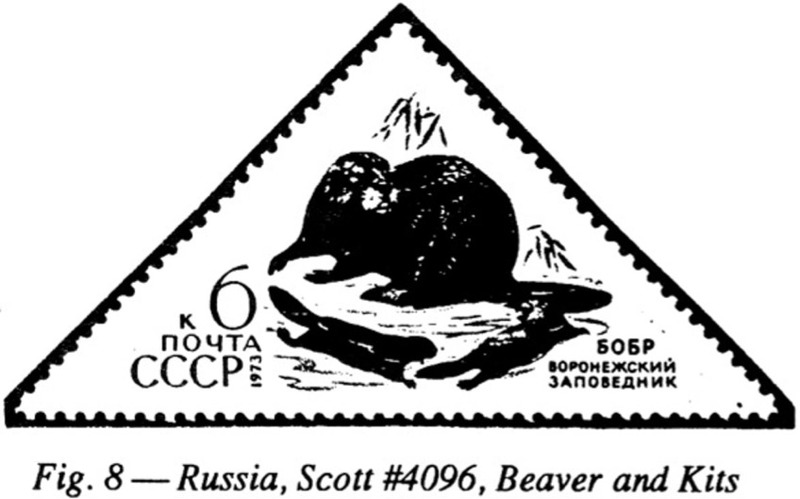 Mike welcomes all correspondence related to beavers, philately, and comments about his articles. Write to him at: P.O. Box 8149, Station T, .Ottawa, Ontario, Kl G 3H6, Canada. North American beavers, or Castor canadensis, as many call them, are a far cry from the ones that lived some 200 million years ago. Prehistoric beavers, Castoroides ohioensis, were giants by today's standards. Roughly 12 feet long and weighing 440 pounds or more, they would be most impressive. Our modern mature beavers are nevertheless some of the largest rodents in the world, averaging 40 to 50 pounds, although I have seen some go as high as 60 and 70 pounds. To my knowledge, the largest modern-day beaver ever caught was in fact taken in Wisconsin - it tipped the scales at 110 pounds. Contrary to its predecessors, our modern-day beavers build dams to slow the flow of water and raise water levels, thereby creating new habitats from the ponds so necessary for their survival. It is suggested that early beavers were supposedly unable to build dams and preferred lakes and large ponds bordering on swamps. Our beaver's tail is also different and certainly very distinct. See France (Figure 1) and Poland (Figure 2). It has a large, paddle-shaped and scaly tail, which makes it readily identifiable. Researchers have deducted that early beavers had a round, muskrat-like tail, probably not used to give warning signals as our modem friends tend to do when they slap the water with their tails, creating a loud noise that is easily heard by other beavers in the colony. I sometimes wonder ... if Castor weighed around 400 pounds, would he need to give warning signals? I have to admit that I find our North American beaver beautiful. Take a look at Figure 3, Mongolia's issue of December 10, 1989 - a really horrible looking creature, I'm sure you will agree. This animal, Castor fiber birulai, is probably a descendant of the prehistoric Eurasian beaver Trongontherium, same being not much bigger then a modern beaver, according to researcher C. R. Harrington. Our beavers are much nicer, don't you think? 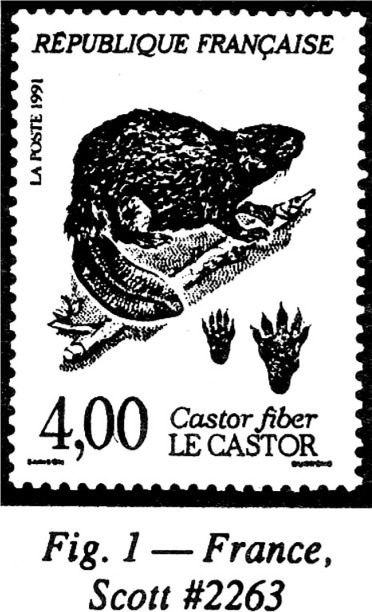 Present-day European beavers, Castor fiber, are also much "lazier," if I can be forgiven for using such a word. Nevertheless, they do hang around rivers with stable water levels. Ha! Probably so they won't have to build dams. They also dig passageways and burrows in riverbanks. Ha again! Probably so they won't have to build lodges. They might go the way of the dinosaurs, too. And speaking of dinosaurs, perhaps it's time for our postal authorities to think of some good prehistoric beaver stamps, to complete my collection, of course. 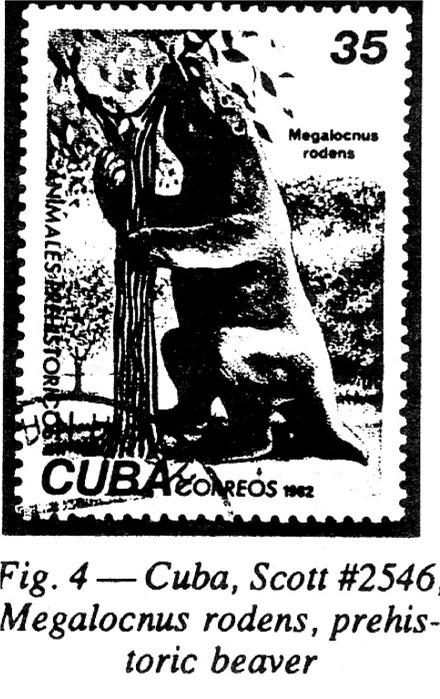 The only dinosaur stamp that might be useful for my current presentation is Cuba's issue of September 15, 1982, Megalocnus rodens (Figure 4). I don't have much information on this animal so I am not certain of its value. Perhaps you readers can help me out on this. and a labor period of perhaps 60 hours. The young stay around for two years and then leave the home to start a new colony elsewhere. The beaver is a land mammal that is very well adapted for moving about under water. They can stay under 15 minutes at a time. Their strong hind legs with webbed feet (like a duck) propel them through water easily. Their large tail also helps and doubles as a rudder. Their sight is not very good but then again their sense of hearing and smell are very well developed. during the day, but only during emergencies - like if a dam starts to give way. With transparent membranes protecting their eyes and special valves in their ears and nostrils, they can travel over half a mile under water. They can even cut branches while down under due to large specially developed lips that constrict behind their teeth to prevent water from entering while they work with their sharp teeth. This is the second part of a three-part series that began in the May-June 1994 issue of ATFP. 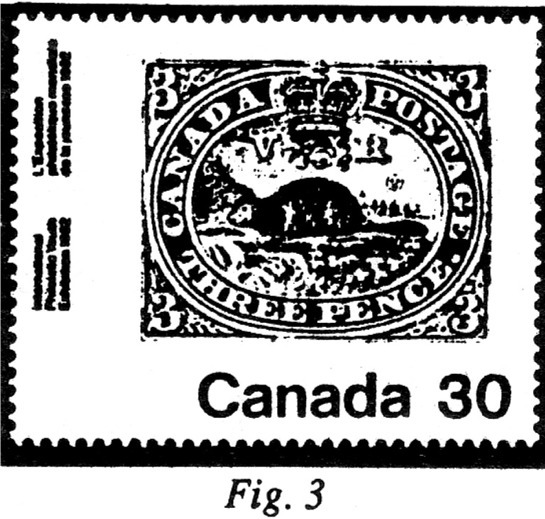 As always, our Canadian friend welcomes all correspondence related to beavers, philately, and comments about his articles. Write to Mike at.- P.O. Box 8149, Station T, Ottawa, Ontario, KI G 3H6, Canada. Last winter I received some United States stamps from your very efficient U.S. Postal Service. Among these were the 1993 Snowman issue (Scott #2803 - Figure 1) and a reminder that I should include in "Beaver Basics" a story about the connection between beavers, carrots and apples, in addition to some information on what our furry little friends do during the winter months. A few years ago, I was fortunate enough to live within easy driving distance of a well-stocked beaver pond located on Nancy and Ernest Michelburgh's property in Hambton County, New Brunswick. On the same property were many apple trees, within easy chewing range of the beavers, of course. Early one day, Nancy happened to walk by the pond and could not help but notice the obvious. An apple tree had been chopped down and the beavers were making easy work of chewing up the bark, the twigs, and the apples. And, yes, the apples were in particular demand. This kind lady, inspired by a story she read about a trapper turned conservationist after befriending a pair of orphaned beaver kits, decided to try her own hand at making new friends. She started with an apple bobbing in the water on the end of a string. As the beavers approached the apple, she would pull the apple, ever so gently, closer and closer to her. The beavers followed. Eventually, the apple went from the string to a stick - shorter and shorter and finally to her hand, and VOILA! - close friends for life. They became such good friends and the beavers so tame that they eventually lost all fear of humans and were eating the Michelburgh's out of house and home. A kind and gentle couple of very modest means, they could not always afford to buy apples when their own stock was eaten up, so they experimented with other delicacies. They soon learned that beavers love carrots and, thus, when I visited the pond I always brought a large bag of carrots so I, too, could hand-feed these friendly little animals. The moral of this story: If you have a beaver pond, watch your apples, and if you build a snowman, make sure the beavers are well stocked with the pond frozen over or you are likely to find your snowman minus a nose one morning. 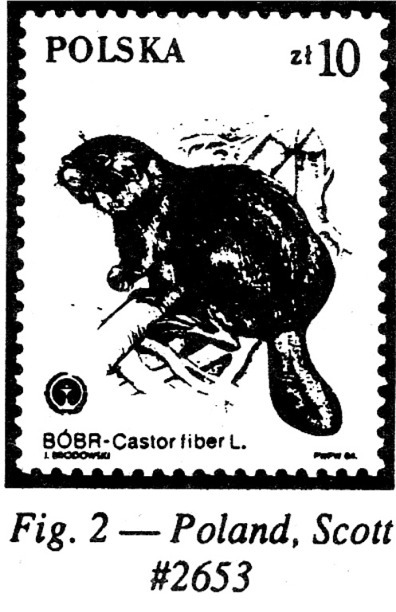 My beaver topical collection includes stamps that depict some of their enemies. Yes, beavers do have enemies, and man is by far the worst. For almost 200 years, beginning in the 17th century, they were slaughtered for their fur, which was in great demand in Europe - mostly to make top hats and to trim the coats of the "in-crowd." (See Figures 2 and 3.) The beaver was nearly wiped out, but it did survive, and there appears to be no danger of extinction happening these days. During winter, they do have some protection from most enemies. Trappers and other hunters can hardly get to them because thick ice covers their pond and their lodge, which is solidly built of mud, sticks and whatever else and is frozen tight as winter advances. This also provides good protection from other animals. It appears that during the other seasons, beavers are a main source of food for wolves (Figure 4). Black bears, wolverine and lynx seem to make a meal of them, too (Figures 5 and 6). Mink, hawks and owls sometimes take beaver kits. My collection also includes stamps that depict the beavers' food sources (Figure 7). Beavers do not hibernate in winter. They do slow down, however, having no trees to cut, no food to gather and no dams to repair. The design of their dams ensures that the pond's water level is maintained sufficiently high so it won't freeze through to the bottom, and the beavers can swim about under the ice. Their lodge is designed so the chambers are above the water level - high and dry. The frozen walls of the lodge also provide insulation, like those of an igloo and their collective body heat keeps them warm. The blanket of snow that covers the dwelling provides additional protection from the cold. To eat, the beavers merely slip down a water-filled passageway to their food stock - huge bundles of branches that were well anchored to the bottom of the pond during the fall. If they run out of this edible, they can eat water lily roots and other aquatic plants. Winter life is generally quiet and peaceful. The kits, playful and adventurous at times, may venture into the waterhold, keeping the father busy (Figure 8). The female, externally indistinguishable from the male until advanced pregnancy, awaits the birth of her kits, which are usually born in early spring. During the winter months, though, there is also the question of death. My friend Ernest once told me that beavers most often die during the winter months. A strange happening, as they seem to know when the time has come. He has observed the chosen one whose time has come leave the lodge through a hole in the wall and travel some considerable distance away to end its days peacefully, but alone. Perhaps the Indians long ago took this lesson on dying from the beavers. This is the last part of a series that began in the May-June 1994 issue and was continued in September. Our sincere thanks to Mike for this very informative series. If you'd like to personally discuss beavers with Mike, write to him at: P.O. Box 8149, Station T, Ottawa, Ontario, K1G 3H6, Canada. As you must have noticed by now, beavers are more than a passing interest for me. 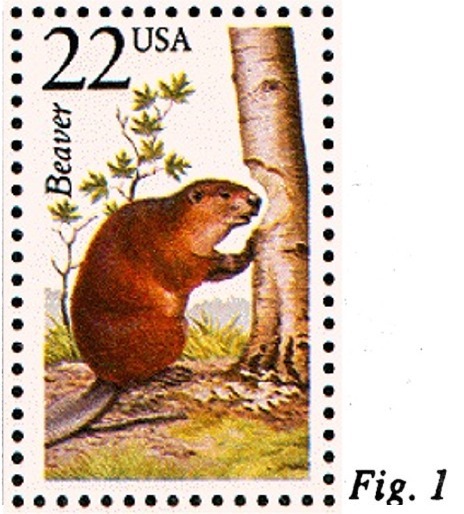 I just love beavers and also love collecting stamps that fit into this topic. With this chapter, though, I will end my essay on "Beaver Basics." It's not because I'm running out of wind. Instead, I must go on to writing about "The Last Beaver" for the Canadian Connection, which is the newsletter of the American Topical Association's Canadiana Study Unit. Last time, I mentioned that the beaver is the only animal I know that improves its surroundings when it moves in, and. this is one reason I hold it in such high regard. We all have lessons to learn from these gentle creatures. If you are fortunate enough to find an area where beavers have just moved in, I urge you to observe closely what' happens. You will see firsthand the building of a dam to create a stable pond. The dams vary in length from 10 to 600 feet. Streams and meadows will spring to life and become havens for wildlife and other forms of plant and insect life. I have seen moose come around regularly to eat the algae and pond weeds and drink water. Chipmunks dance about, picking rose hip berries. Colorful wood ducks are often seen on beaver ponds, many nesting in holes of dead trees surrounding the area. Birds, such as chickadees, red-winged blackbirds, and owls, and various waterfowl are often found along with the numerous insects that they rely on as a source of food. In the Rockies, the ponds are usually well stocked with trout due to the abundance of food that. these new creations generate for fish life. Frogs, butterflies, water beetles, dragonflies, and last but not least, black flies by the thousands are also in abundance, especially in the northern regions. In addition to this flurry of activity, the beaver dams and ponds reduce soil erosion in the area to minimum levels, providing a firm base for continued growth. Yes, the ecosystem is alive and well, is it not? We worry about the decline of the forest in Amazonia. We have our own Amazonia to worry about. Our numerous beaver ponds are miniature wetlands that need protection. Let's give them the attention they deserve. Improve the area where they move in? You bet! Cause destruction and havoc? Perhaps. But then again, that is also another story. Topical collecting and arranging the stamps and collateral material for an attractive presentation go hand in hand, and I enjoy both. I must admit, however, that as far as competitions and exhibits go, I was not one to participate or get very much involved. My thoughts were that collecting and arranging my material was a personal thing for my pleasure - leaving competition to the daily grind of life's survival routines. Fortunately, some good friends managed to convince me that I should exhibit my material. It would create an interest in the beaver and an awareness to the benefits of having this master builder survive the onslaught of expanding indifference and insensitive civilizations. 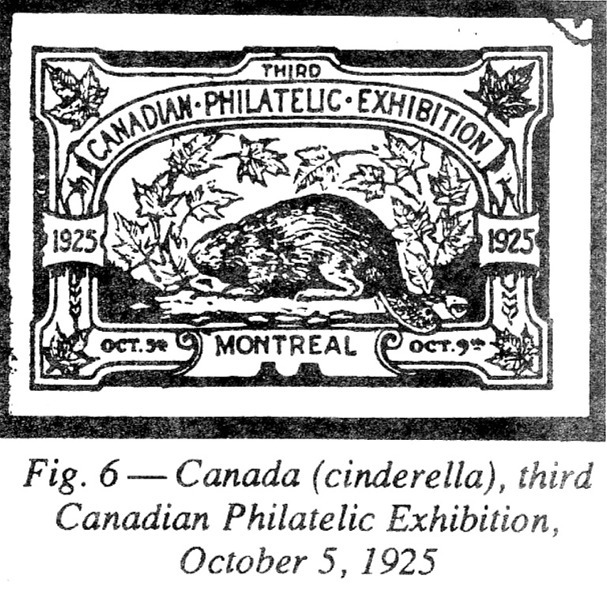 This argument made sense if the exhibit went beyond showing philatelic material to include a story of the advantages of having beaver ponds around - in abundance. The following article originally appeared in The Philatelic Observer, Vol. 27, No. 6, 1990. It is reprinted with permission of the Junior Philatelists of America, publisher of TPO. The author, Ken Mackenzie, founded the Philatelic Christmas Club. He also founded the Minnesota Federation of Stamp Clubs. The WFSC worked with Ken during that formation process, thereby developing close ties with both Ken and the MFSC. Ken passed away in 1991. In 1898, the British Empire inaugurated the Imperial Penny Postage rate to be used in Great Britain and many of the British territories. The new rate was to go into effect on December 25, 1898. 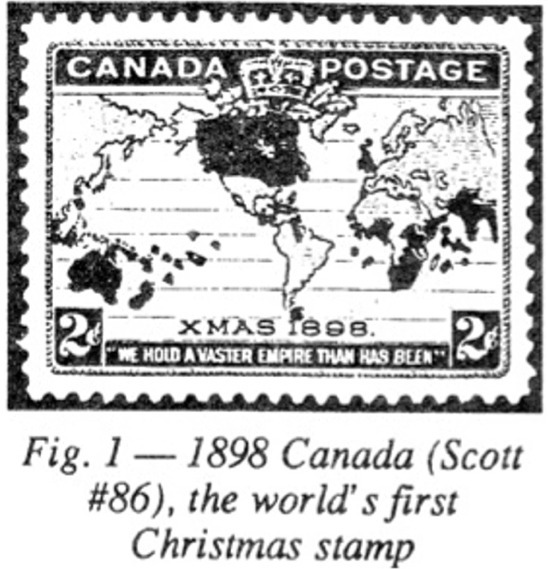 The next Christmas stamp was not issued until 34 years later. The Netherlands issued a set of four semipostals. The stamps had flower designs typifying the four seasons. One of the stamps depicted the Christmas rose. Slowly, the issuance of Christmas stamps began to accelerate. In 1939, Brazil issued a stamp showing the three wise men. 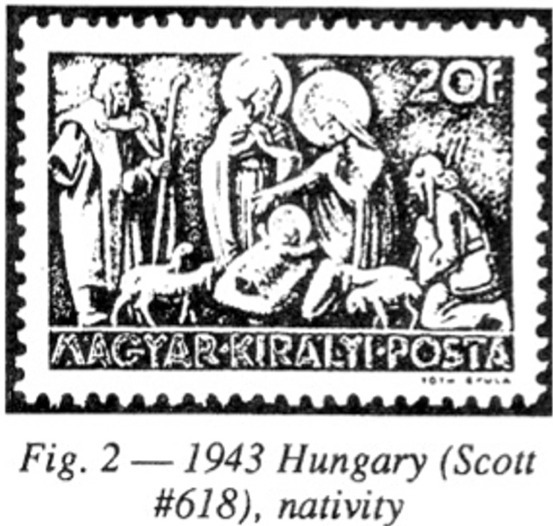 In 1943, Hungary issued three stamps picturing the shepherds, the nativity, and the magi (Figure 2). 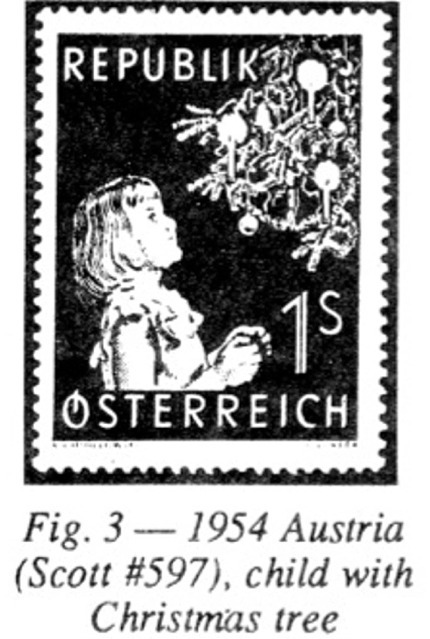 In 1948, Austria issued a stamp honoring the composers of "Silent Night," and in 1953 and 1954 two more stamps depicting a child with a Christmas tree (Figure 3). Widespread issuance of Christmas stamps started in the 1950s. Almost every year during this decade one or more countries honored the holiday with one or more issues. 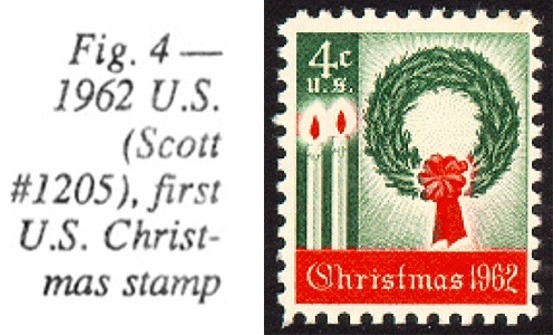 But the United States did not issue a Christmas stamp until 1962 (Figure 4). Through the years, the U.S. Post Office Department had received hundreds of requests to issue a stamp honoring Christmas, but an outspoken minority had maintained that it was unconstitutional. Christmas was a holiday in the Christian religion, and to honor it would be to cross the line separating church from state. But in 1962, Postmaster General J. Edward Day authorized the issuance of a Christmas stamp. He reputedly stated that those that didn't like the idea of Christmas stamps didn't have to use them. 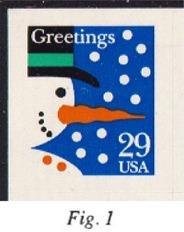 Every year since then, the United States has issued at least one Christmas stamp. As many as five different Christmas stamps were issued for the years of 1970 and 1982. Usually, the government issues two different stamps each year. 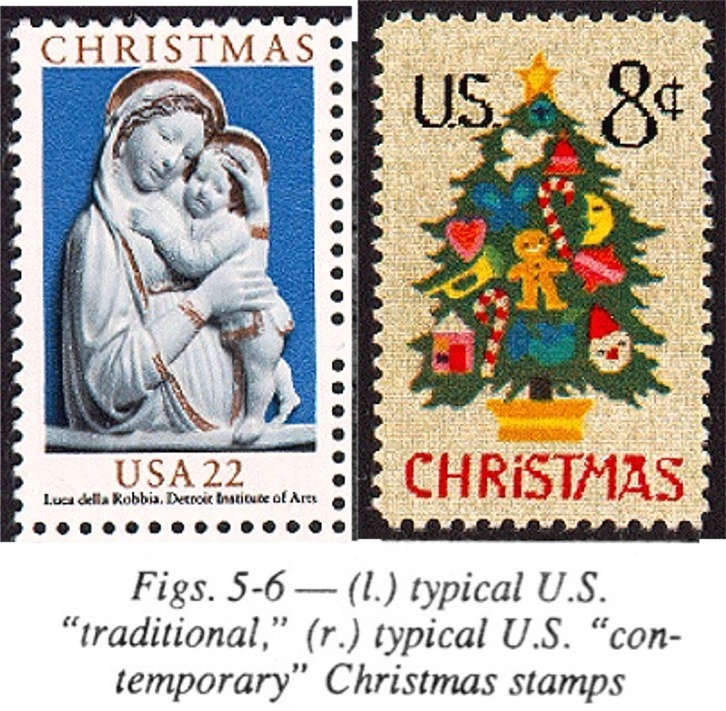 One stamp is referred to as traditional in design (religious - Figure 5) and the other is called contemporary (secular - Figure 6). Approximately a billion and a half Christmas stamps are printed by the United States each year. This is about eight to ten times as many as are printed for other commemoratives. This quantity is doubly impressive when one considers they are mostly all used up in the months of November and December. A stamp collector who is discouraged by the many blank spaces in his regular stamp collection might enjoy starting a small-specialized collection of United States Christmas stamps only. There have been about 80 varieties issued since 1962, and one, two, or more will be issued each year in the foreseeable future. Mint copies of all of them can be purchased from dealers at moderate prices, but it might be more fun to scrounge through old Christmas cards for used copies. With a moderate amount of effort, a complete collection is attainable.